Arcade games for sale at Arcade Classics Australia. Arcade games for sale in Melbourne and Australia wide. With arcade games from the 80s and 90s as popular as ever, Arcade Classics Australia specialises in classic retro arcade games. Classic Arcade games such as Galaga, Space Invaders and Street Fighter are highly collectable in original condition. Arcade Classics Australia sources the finest original examples of classic arcade games. All our arcade games for sale are fully serviced and workshop tested by our experienced arcade game technicians. If you have an arcade game for sale we also buy used arcade games, with cash paid on the spot. 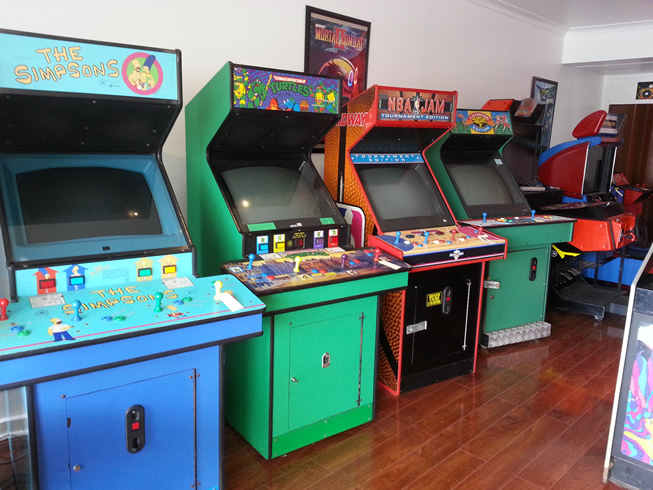 All of our arcade games for sale can be used for home or commercial use and come with warranty and backup support. And many other arcade games for sale. Arcade Classics delivers Australia wide. Popular arcade games for sale. As well as arcade games for sale, we offer service, advise, repair and restoration of arcade games, pinballs and arcade tables. Visit our showroom to view our range of arcade games for sale.